The US Energy Secretary yesterday announced that the American government would not be funding any further research into hydrogen fuel cells for cars. The New York Times reports that Energy Secretary Dr Steven Chu dismissed fuel cell technologies as being impractical for the next "10 to 20 years". 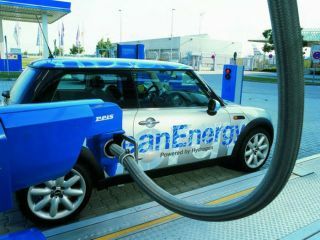 Under the Bush Presidency, over $1.2 billion (£790,000) was spent on fuel cell development over the last five years. Instead, the Obama administration is concentrating on technologies that promise a shorter term pay-off. The new energy budget includes an extra $39 million (£26 million) for research into battery and power-train systems for hybrid electric vehicles, $4 million (£2.6 million) for demonstrations of thermoelectric materials in cars, $3 million (£2 million) for biofuel research and $12 million (£8 million) for work into reducing the costs of lightweight aluminium, magnesium, and carbon-fibre car components. The budget also calls for spending a massive $10 billion (£6.5 billion) this year in helping car makers to re-tool plants to make hybrid and pure electric vehicles. The Advanced Technology Vehicle Manufacturing Loan Program, approved by Congress in September, actually earmarks a staggering $25 billion (£17 billion). The majority of this will go to the Big Three manufacturers (if they survive the summer), although a total of 75 companies, including start-ups like Tesla Motors, have applied for loans.